The WPC 2019, also known as the 5th World Parkinson Congress is the largest global scientific Parkinson’s event that opens its doors to everyone in the community. By bringing movement disorder specialists, physicians, scientists, nurses, rehabilitation specialists, care partners and people with Parkinson’s disease together, each WPC creates a special venue for four days that allows for worldwide dialogue to help expedite the discovery of a cure and understand the best treatment practices for this devastating disease. Anyone touched by Parkinson’s disease, or interested in learning more about PD, is invited to register. 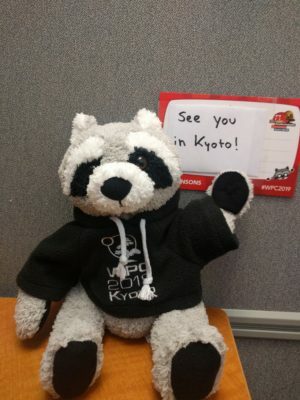 The WPC 2019 will be held from June 4 to 7, 2019 in Kyoto, Japan. Learn more at www.WPC2019.org.